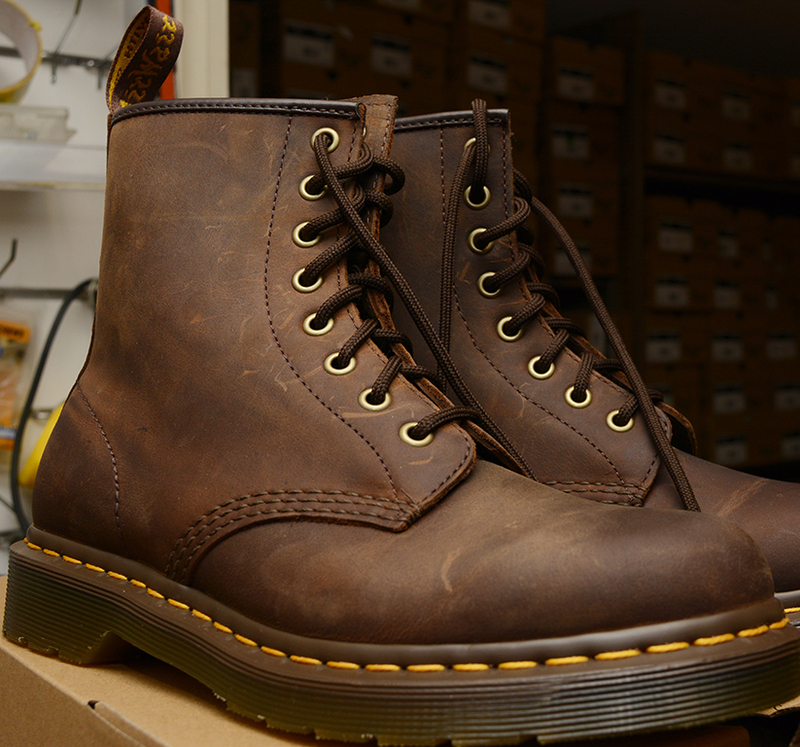 The 1460 is the original Dr. Martens 8-eye boot. 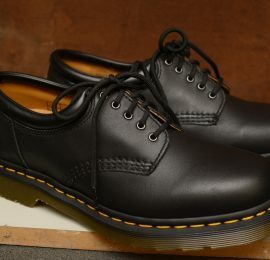 Its instantly recognizable: 8 eyes, grooved sides, yellow stitching, and a comfortable, air-cushioned sole. This new version is made with a rich, supple Cognac Aqua Glide leather. Cognac Aqua Glide Leather; A classic full-grain leather is smooth and supple to the touch. It features a deep contrasting pull up and waxy finish.